Born in Belgium, the famous electronic music spectacular that is Daydream Festival will head to Spain in 2018 for the first time ever. 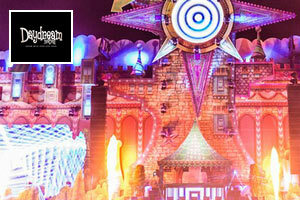 Taking place at the Circuit de Barcelona-Catalunya, Daydream Festival will bring its famed fantasyland to the northern reaches of Barcelona. Across five enchanting stages, a lineup of electronic music’s biggest names will ensure the festival’s debut Spanish outing is one to remember, from big room and EDM megastars to heroes of the house and techno underground. As the day turns night, Daydream Festival invites dance music fans to lose themselves in ‘a heaven of music, colour, and fantasy’.